Black Willow Tree Punched Tin 10\" Lamp Shade ten\" Diameter at the bottom, five\" across at the leading. Priced and offered individually. Designed and produced by Park Patterns. 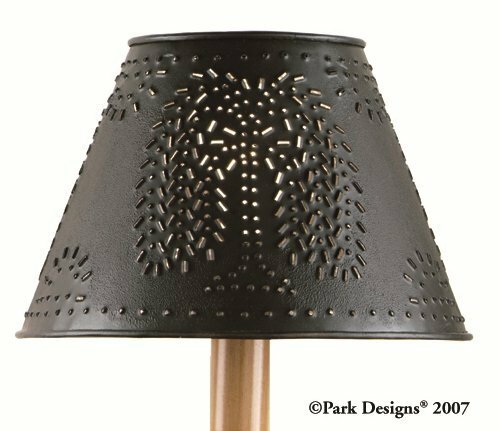 10" Lampshade is 6-3/4" Tall, with a diameter at the bottom of 10" and at the top is 5".